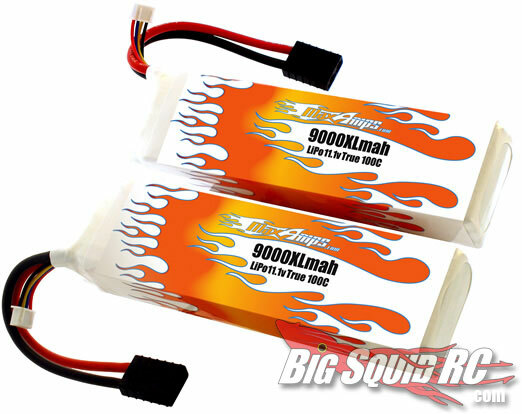 MaxAmps 9000mah 3-cell LiPo Pair for Traxxas XO-1 « Big Squid RC – RC Car and Truck News, Reviews, Videos, and More! Word from MaxAmps is that if you have a Traxxas XO-1, you should think about their 9000mah 3-cell LiPo Pair. These are some BIG packs, so you’ll need to remove the lower part of the XO-1 battery tray to make these bad boys fit. 100 C Rating, Lifetime Warranty, 5C fast charge compatable, waterproof, and 12AWG Deans Ultra Wire. Check out the MaxAmps web site details.